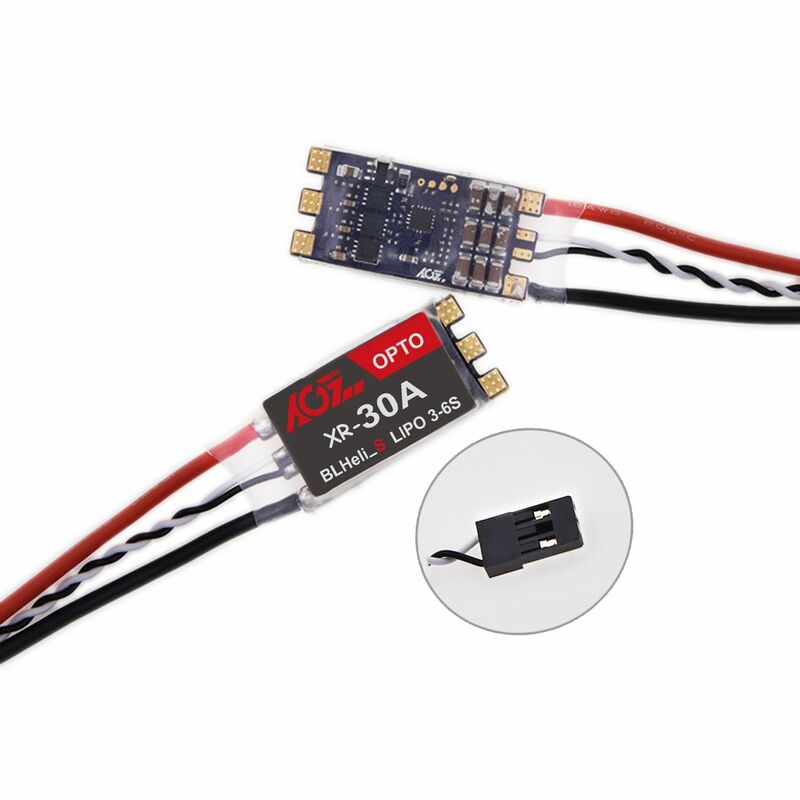 1) Comes with BLHeli_S firmware, easy to upgrade or flash via the esc signal cable. 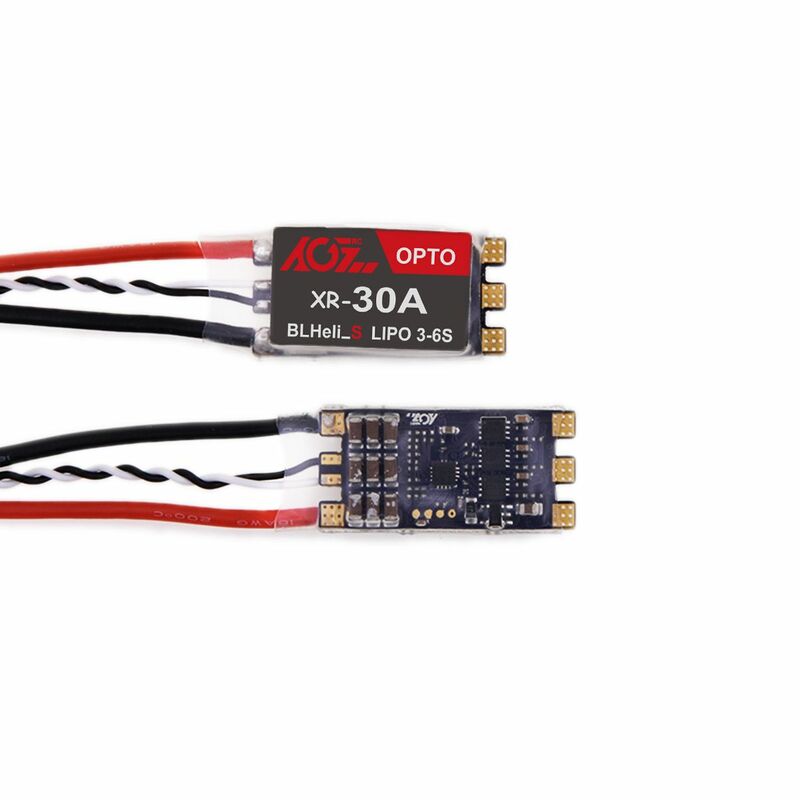 If use with CleanFlight or BetaFlight flight controller, connect the flight controller to BLHeliSuite software directly to set 4pcs ESCs simultaneously. 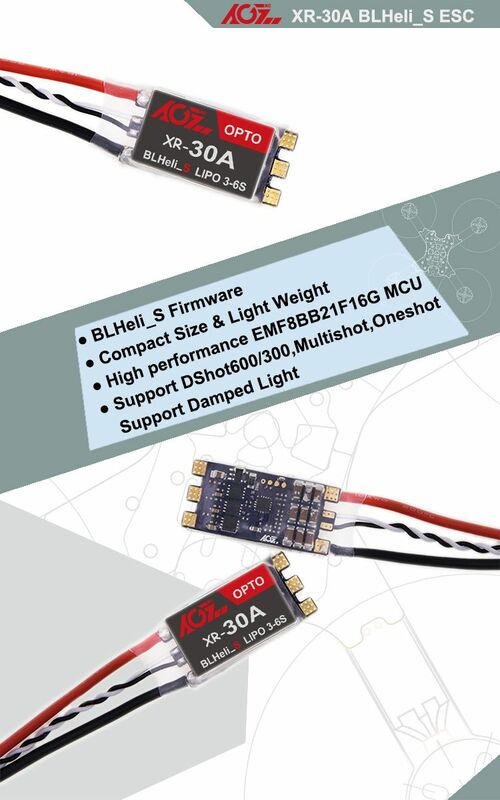 2) Support to use Dshot600/300/150, PWM throttle signal mode (1000μs-2000μs), Onshot125 (125-250μs), Oneshot42 (42-82μs) and Multishot (2-25μs). 3) Hardware PWM drive motor, low voice, smooth throttle response. Damped light enabled to make it more sensitive and effective while reduce the motor speed. 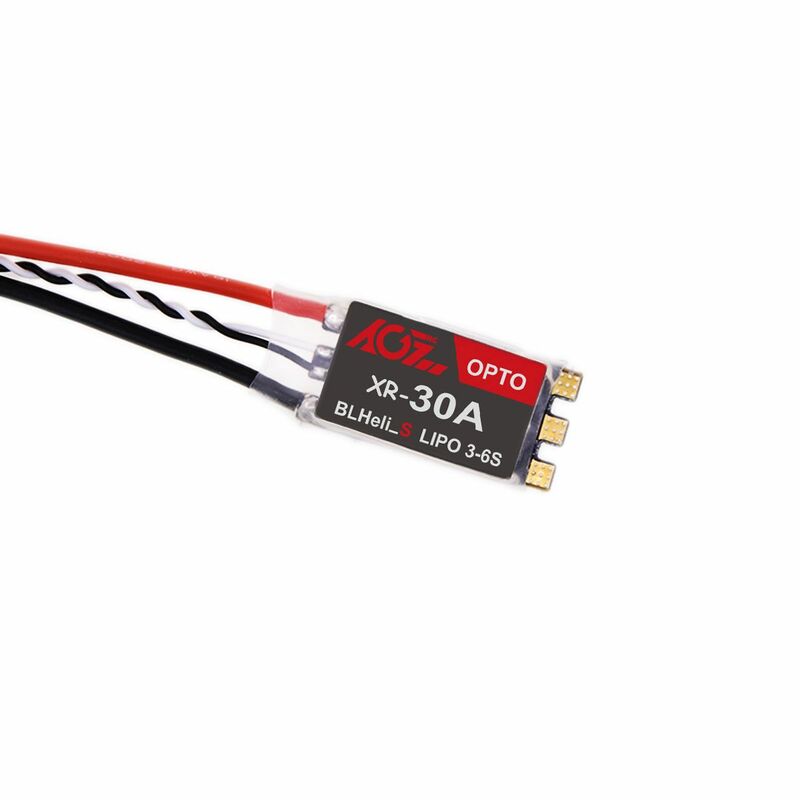 4) Compact size and light weight, especially designed for competition FPV drones. 5) High quality component, super fast running speed. 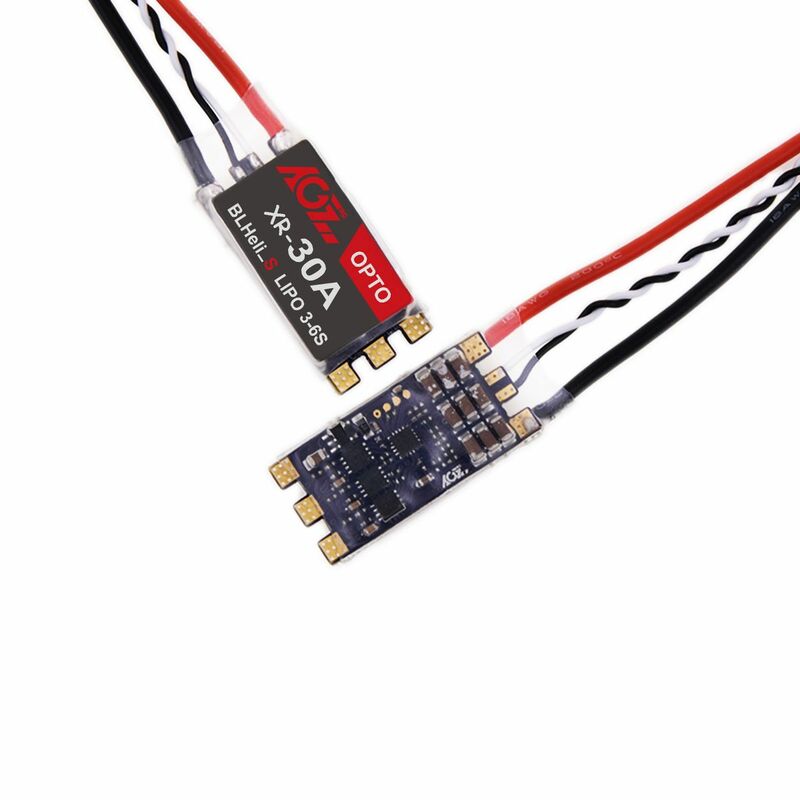 EMF8BB21F16G MCU (the operating frequency of up to 48MHz), 3-in-1 drive IC, import ceramic capacitor, 3 ounce copper and 4 layers PCB to increase efficiency and enjoy the real-time flight. 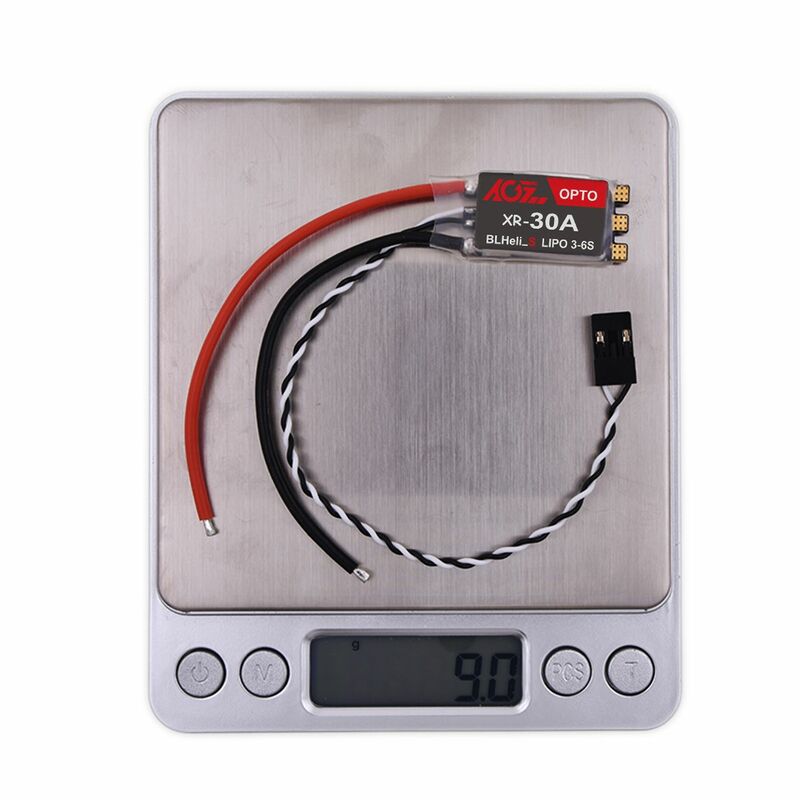 6) Suitable for Multirotor, fast throttle response. Easy and simple to operate with default settings. Twisted-pair for throttle signal cable to reduce signal interference and make it fly more stable.Compatible with various flight control systems. Miniature MOSFET with extra-low resistance and optimized driver brings amazing current shock withstanding capacity.